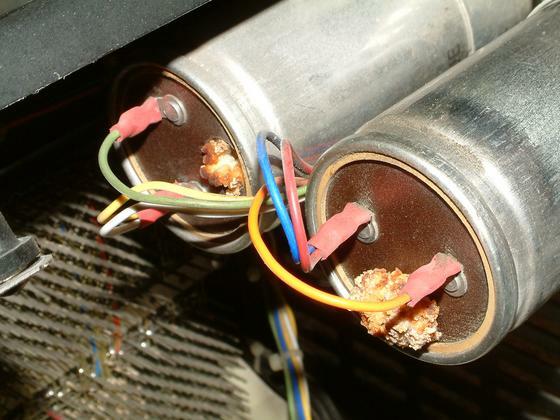 This is a close up of the motor capacitors showing the electrolyte oozing out the vent. This is a common failure with these drives. My 2000 picture ( 56K) shows that one had started to leak.